Wide selection of games at all the stakes. Anonymous tables. Initially, PokerLoco was part of the Ongame poker network but the multiple issues and the downfall of Ongame forced the operator to move to MPN. This worked out well, as the room is certainly doing well ever since. Its main player base is from Latin America, but not exclusively. The website of PokerLoco is available in English, Spanish, Brazilian Portuguese, and Swedish. The players can enjoy all the benefits of MPN, including the shared traffic, tournaments schedule, the Microgaming rakeback deals, and more. The network has been around for more than 20 years and is constantly adding new features. Our PokerLoco review confirmed that Texas Hold’em and Omaha are the main priority of the operator, but you could also find some other games such as 5 Card Draw and 7 Card Stud. Exciting new formats such as the fast-fold Blaze Poker and the Fish Party jackpot SNGs add even more options. 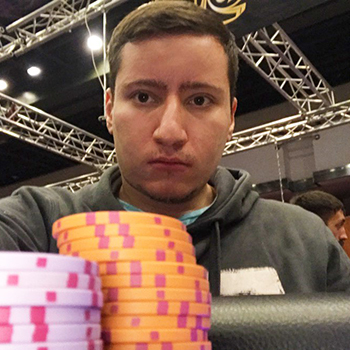 High limits: PokerLocco has some action at €200 NL and €400 NL too. There are usually a couple of tables there and you will even find players at €1,000 NL every now and then. However, if you play that high, there is no consistent traffic. Also, the Omaha tables stop somewhere around €50 PL and you will rarely see higher limits available. It’s worth noting that some of the cash tables of PokerLoco are anonymous. They are designed to protect the fish from the regular players. Also, there’s a fast-fold format called Blaze Poker. It’s a blessing if you want to collect PokerLoco rakeback, as the hands played per hour reaches a couple of hundred. You will find lots of players around the lower limits, especially around 20:00–23:00 CET. Another format that attracts lots of players are the Fish Party SNGs of PokerLoco. They are fast-paced tournaments for 3 players where you can win some large prizes if you get lucky. The buy-ins start low and go all the way up to €50, but most of the games are around the €5 mark. When it comes to multi-table tournaments, PokerLoco offers the schedule of MPN. There are plenty of guarantees with buy-ins from €1 up to €300 or so. The biggest of them are played in a time that’s comfortable for the European players in the network. If you’re looking for the largest PokerLoco tournament, it’s called the Masters. The guaranteed prize pool is €60,000 and the buy-in is €320. High rollers will be also interested in the Sunday Showdown. The entry costs €215 and you will be fighting for at least €25,000. The software is PokerLoco is clean and flexible. You can customize the table layout easily, so it won’t take long to find a setup that suits your needs. Another advantage is the seamless user interface allows you to multi-table without much effort. You can stack the different tables in different ways until you’re satisfied. Unfortunately, PokerLoco is currently not available on mobile. There should be an iOS and Android version in the future, though. If you’re serious about playing poker and grinding for PokerLoco rakeback, you probably intend to use Holdem Manager, Poker Tracker, or other tools that could improve your performance. Our PokerLoco review confirmed that the online poker room does allow them. Of course, you can’t use them on the anonymous tables. It’s worth noting that players at PokerLoco are allowed to change their table name once a month or when they play 1,000 raked hands. This could be a bit of an issue in the long run. Fish Party: the special fast jackpot tournaments come with a rake of around 6%. You can get a decent amount of PokerLoco rakeback thanks to the VIP program of the poker room. There are 4 different tiers based on your monthly volume. The highest among them is Diamond and you can get 30% PokerLoco rakeback if you reach it. It’s fairly easy to do so, as the minimum monthly rake required is fixed at €300. Even if you barely play, you will get a PokerLoco rakeback of 10% for the lowest tier. Being affiliated in the poker room by PokerProDeals, you will immediately get the maximal status, first deposit bonus and additional value from us. More details are available if you contact our affiliate manager. How to register in PokerLoco?